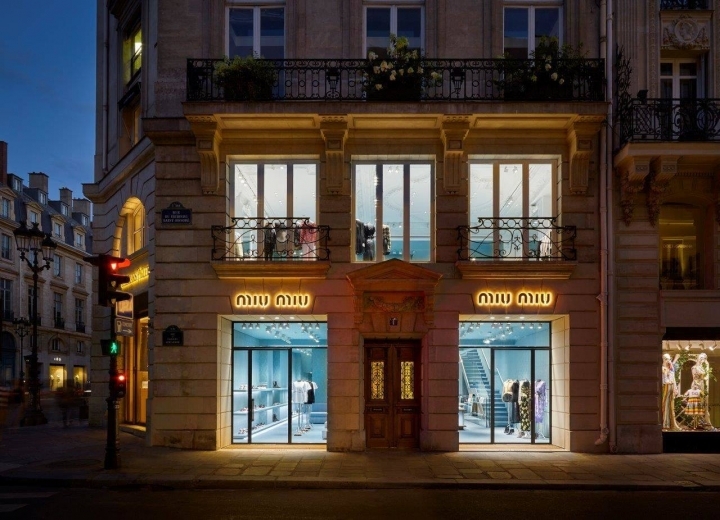 Miu Miu strengthens its presence in Paris with the opening of a prestigious new boutique on the Rue du Faubourg Saint-Honoré, among the most celebrated historic thoroughfares and fashionable shopping destinations in the world. 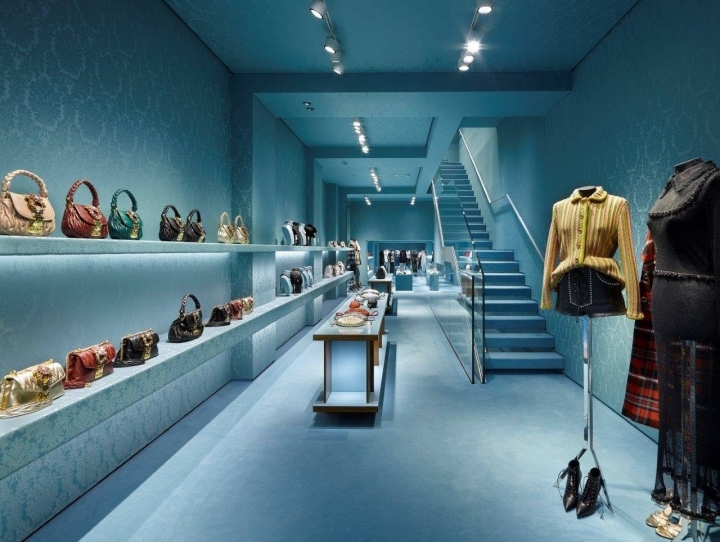 The boutique extends over three floors, has a total surface area of approximately 540 square metres and is dedicated to the display of accessory, bag, shoe and ready-to-wear collections. The façade of the building, constructed in typically grand Nineteenth Century French style, is characterised by three imposing glass windows through which onlookers can glimpse the atmosphere inside. Typically Parisian period features have here been lovingly restored: delicate stucco details appear on walls and ceiling and large fireplaces overhung with framed mirrors ensure the space is unique and wholly specific to its location. Testimony to the constant evolution of the image of Miu Miu, the iconic golden damask fabric is now created exclusively for the brand in harmonious light blue. 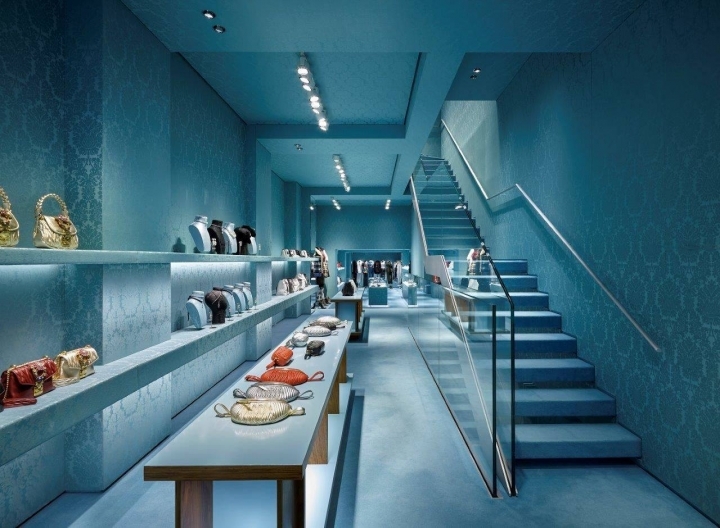 Both ceiling and floor are in this same shade creating the effect of a monochrome box, at once intimate and contemporary, where the product is the protagonist. 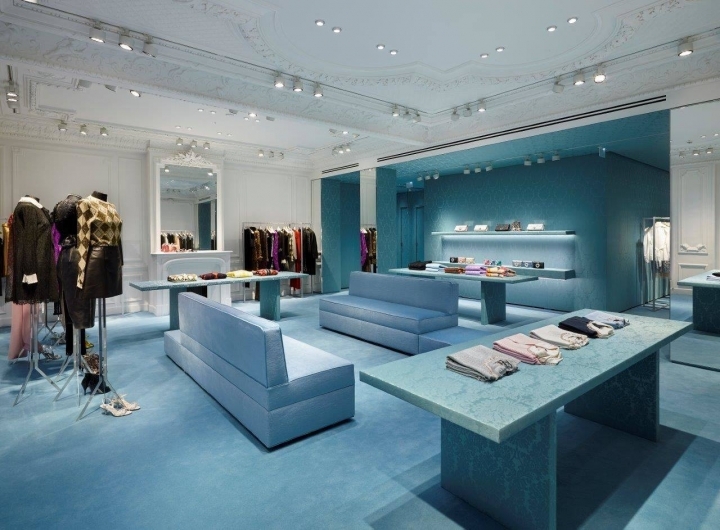 Miu Miu’s second Parisian project this year is the opening of a store at 14 avenue Montaigne, adjacent to the Prada store located at no. 12. 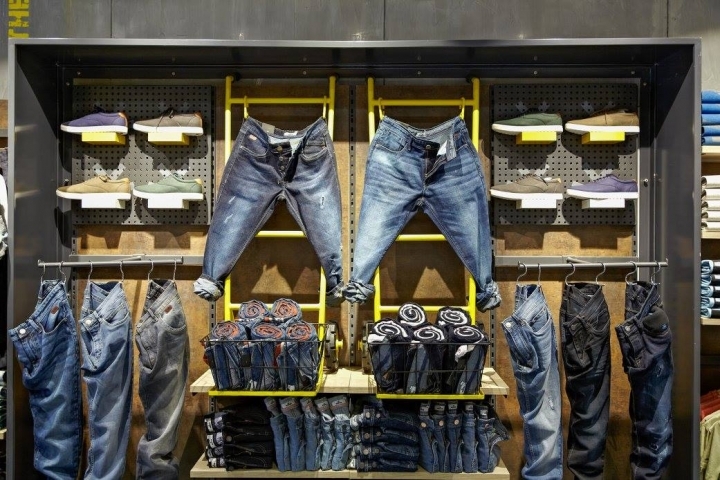 With this latest shop, the Italian label’s footprint in the French capital will increase to nine retail units, including the shop-in-shops in the Galeries Lafayette, Bon Marché and Printemps department stores.